Active contributions to fluctuations are a direct consequence of metabolic energy consumption in living cells. Such metabolic processes continuously create active forces, which deform the membrane to control motility, proliferation as well as homeostasis. Membrane fluctuations contain therefore valuable information on the nature of active forces, but classical analysis of membrane fluctuations has been primarily centered on purely thermal driving. 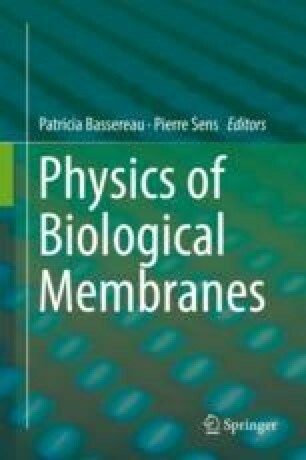 This chapter provides an overview of relevant experimental and theoretical approaches to measure, analyze, and model active membrane fluctuations. In the focus of the discussion remains the intrinsic problem that the sole fluctuation analysis may not be sufficient to separate active from thermal contributions, since the presence of activity may modify membrane mechanical properties themselves. By combining independent measurements of spontaneous fluctuations and mechanical response, it is possible to directly quantify time and energy-scales of the active contributions, allowing for a refinement of current theoretical descriptions of active membranes. H. Turlier acknowledges support from the CNRS/Inserm program ATIP-Avenir, from the Bettencourt-Schueller Foundation, and from the Collège de France. T. Betz is supported by the Deutsche Forschungsgemeinschaft (DFG), Cells-in-Motion Cluster of Excellence (EXC 1003-CiM), University of Münster, Germany.